I love May. The leaves are on the trees; the flowers are in bloom; and it’s warm enough to grill outside. In a large bowl, combine all marinade ingredients. 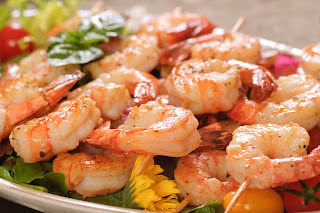 Add shrimp: toss gently to coat. Skewer shrimp and grill about 10 minutes or until shrimp are pink, turning once. 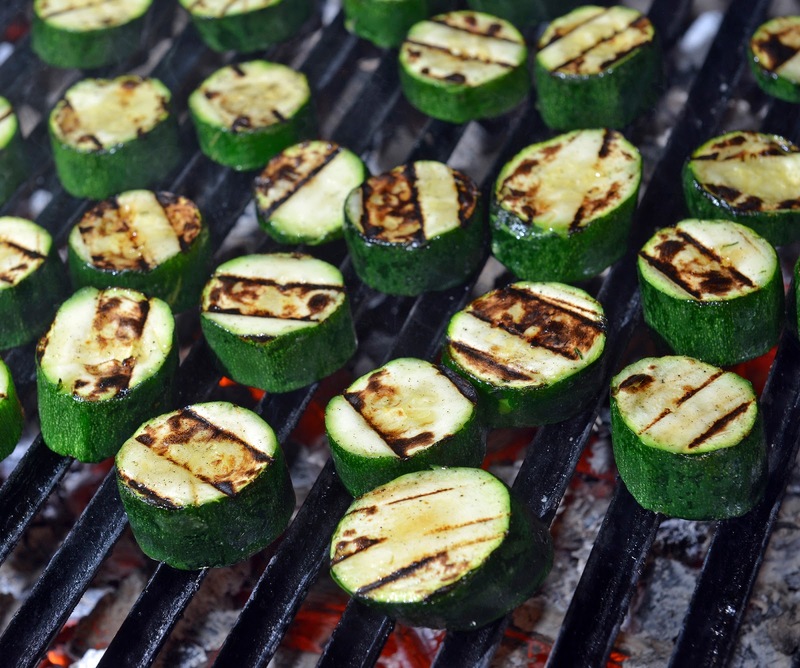 On a large sheet of heavy duty foil, mix zucchini with onion, rosemary, and salt. Dot mixture with butter or margarine; fold sheet of foil over and seal ends. Grill over medium coals 25 minutes or until zucchini is tender-crisp. What are some of your favorite quick and easy grilling recipes? Love these recipes! Thanks for the great post! I love the cover on this book, Too Good to Believe. Thanks, Sally! I hope you have fun grilling!! Both recipes look delicious, Raine. Sesame seeds with shrimp sounds delicious. I love sesame seeds. I'll have to try that.